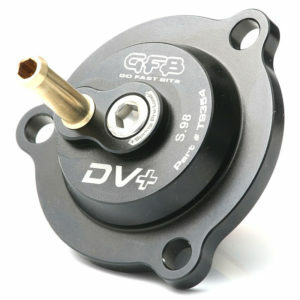 GFB’s DV+ solution couldn’t be simpler – keep what works and replace what doesn’t. The solenoid coil itself from the factory-fitted valve is great (the ECU opens it faster than any pneumatic valve so why replace it? ), but the weak point however is the valve mechanism itself. 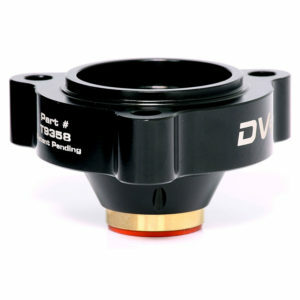 So GFB’s DV+ solves this problem by replacing just the valve parts with an anodised billet aluminium housing fitted with a brass piston machined to exacting tolerances. The end result is sharper throttle response, lightning-fast valve actuation, and it will hold as much boost as you can throw at it. Read all about the DV+ story on the next page. Other manufacturers’ products involve replacing the entire system with a traditional pneumatic valve, requiring long vacuum hose runs, additional parts for tapping into the intake manifold vacuum, plus either a different solenoid valve to actuate the pneumatic valve or a ballast resistor to plug into the OE wiring loom. All these additional items result in a product that is slower, less responsive, more expensive and takes much longer to install. GFB’s DV+ solution on the other hand is more responsive, less expensive, easier to install, and doesn’t cause compressor surge/turbo flutter. Oh, and it doesn’t require different springs or frequent re-builds. 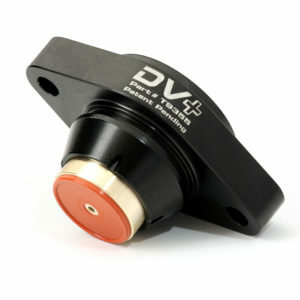 Many late-model European cars use ECU controlled solenoid-type diverter valves. This is a good concept because the valve can react very quickly and it only opens when it needs to. However, there are some problems with these valves. There are typically two types of solenoid-actuated diverter valves found standard on VAG and European cars, both of which have their shortcomings. The diaphragm types are commonly known to rupture, especially when boost and temperature are increased as a result of chip tuning. The plastic piston-type leaks far more than most people realise (by design, not from wear), and doesn’t always close after a high-boost gear shift. Additionally, in both cases, the solenoid on the OE diverter is directly connected to the valve mechanism, which is not ideal because neither it nor the return spring are strong enough to open and close the valve reliably at high boost. With problems like this, you can see why other aftermarket manufacturers assume the best solution is to replace the factory diverter entirely. Unfortunately though, whilst their replacement kits might be stronger than the factory diverter, their slower response speed and lower flow do not justify the extra cost and complexity – more of a compromise than a solution. GFB has taken a different approach to deliver a complete solution that solves existing problems and improves performance, without compromise or a hefty price tag. 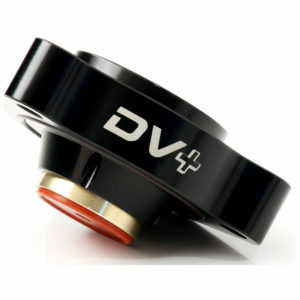 The DV+ addresses the factory valve problems with a very simple and elegant solution. Keeping the factory solenoid retains all the benefits of the stock system, and replacing the valve parts with indestructable metal components ensures strength and reliability no matter how much boost you run. That’s not all. Rather than using the solenoid to directly actuate the valve, we’ve introduced a unique “pilot-actuation” system. 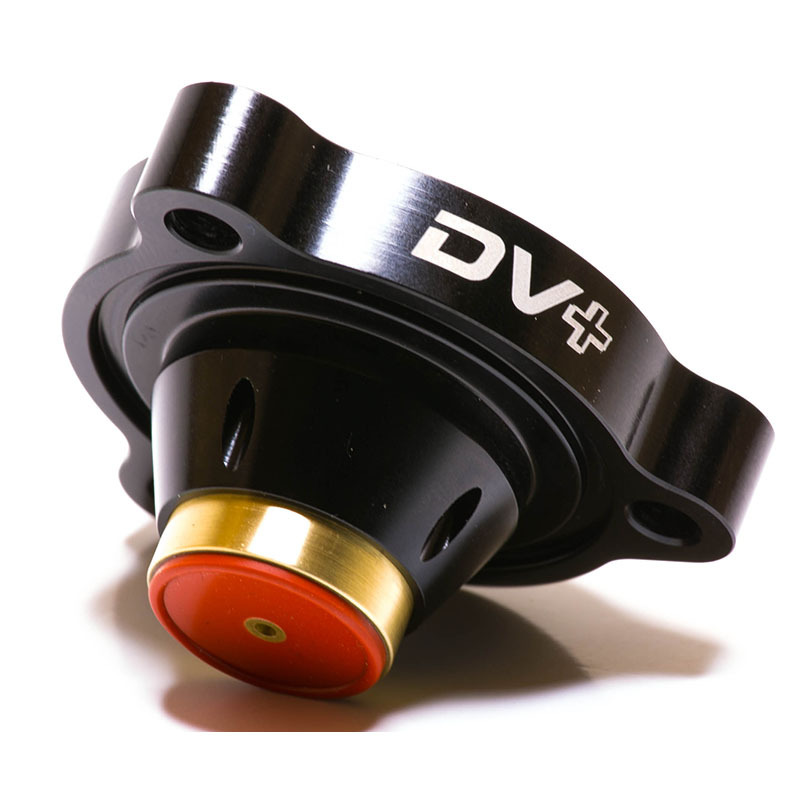 This means the solenoid controls the air pressure that is used to open and close the piston, so it doesn’t matter how much boost you push through it, the DV+ will open and close reliably without ever exceeding the solenoid’s capability. 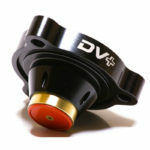 This feature also improves on the factory system by opening the valve progressively in response to boost pressure, so it only opens as much as required to get the job done (the factory valve simply opens and shuts, it cannot partially open if boost pressure is low), resulting in better throttle response.